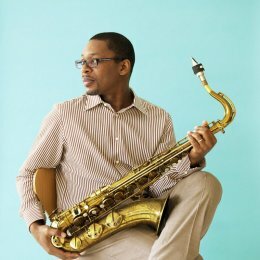 Ravi Coltrane is a critically acclaimed Grammy™ nominated saxophonist, bandleader, and composer. In the course of a twenty plus year career, Mr. Coltrane has worked as a sideman to many, recorded noteworthy albums for himself and others and founded a prominent independent record label, RKM. Born in Long Island, the second son of John Coltrane and Alice Coltrane, Ravi was named after Indian sitar legend Ravi Shankar. He was raised in Los Angeles where his family moved after his father’s death in 1967. His mother, Alice Coltrane, was a significant influence on Ravi and it was he who encouraged Alice to return to performance and the recording studio after a long absence. Subsequently, Ravi produced and played on Alice Coltrane’s powerful, ‘Translinear Light’, which was released in 2004. Ravi has released six albums as a leader. His latest, ‘Spirit Fiction’, was released in June of 2012 for the Blue Note label. Additional credits include performances as well as recordings with Elvin Jones, Terence Blanchard, Kenny Baron, Steve Coleman, McCoy Tyner, Jack DeJohnette, Matt Garrison, Jeff ‘Tain’ Watts, Geri Allen, Joanne Brackeem, The Blue Note 7, among others. 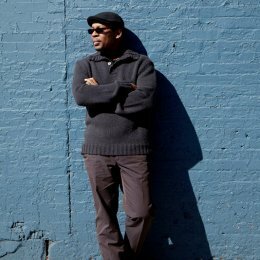 Ravi lives in Brooklyn, NY and maintains a fast paced touring, recording, composing and performance schedule. He leads the effort to restore the John Coltrane Home in Dix Hills, Long Island www.thecoltranehome.org and presides over important reissues of his parent’s recordings.